Pupils in Year 5 have been sharing some of their recent work in English, Geography, Art and Drama. 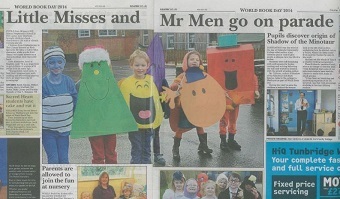 Watch videos of Year 5 in action. The first of our Parent Review Committee Meetings was held on 28th April, providing a progress update on Skippers Hill’s two year development plan. 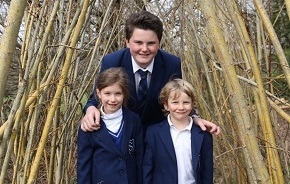 Find out more about the key areas of development that are currently in progress, such as the Woodland Experience, new learning schemes and a mentoring programme for Year 7 pupils. We are delighted to announce that an action-packed holiday club programme will be on offer to pupils at Skippers Hill, over the summer break in 2014. 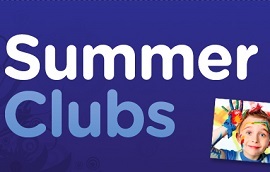 Due to the success of last year’s Skippers Summer Club, children in Reception to Year 4 will be able to enjoy a range of fun activities during the first two weeks of the school holidays (Monday 7th July - Friday 18th July). The South East Performing Arts CIC will also be running a four week Summer Club at Skippers Hill from Monday 28th July - Friday 22nd August. Skippers Hill’s annual Inter House Gymnastics Competition took place on Tuesday 6th May. Watch a video of the competition in action. 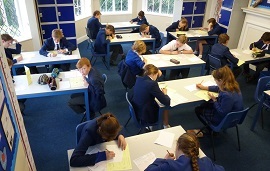 On 1st May, 20 pupils from Years 7 & 8 took part in the UK Mathematics Trust Junior Challenge. Participants answered 25 multiple choice questions designed to develop mathematical thinking and reasoning. There is a twist, as marks are deducted for incorrect answers. 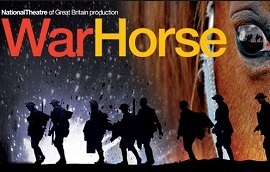 On 1st May, Years 7 & 8 enjoyed a trip to New London Theatre to see War Horse. "War Horse is the moving tale of a boy and his pet horse who are cruelly separated because of the First World War. The boy then joined in the army to find his lost horse: do you think that a boy’s love is enough to bring them both back together?" 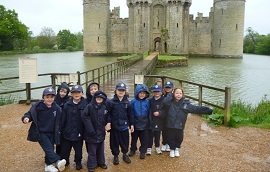 On Thursday 8th May, Year 1 enjoyed a trip to Bodiam Castle, to support their recent topic on castles. Year 1 have been learning about what castles were like inside and outside and who lived in castles, and have been comparing historical castle life to life today. In order to start off our fund raising for the Jersey Tour next year, another Bag2School collection has been arranged for Monday 9th June. Bags will be available from Monday 12th May. We shall be grateful if you would start saving any unwanted clothes, bedding, curtains etc. to help towards this event. Thank you.